I followed the instructions to locate and download the beta; once I have it, however, it fails to install, saying the installation path can't be located. The content file is not installable. Only the Hexagon app is. The content will be included once Hexagon is installed. Turn on more of your filters to see the Hexagon app. It is in a different category than its content file is found in. Under Applications Tab: Hexagon 2.5 (32-bit) (my only option other than v. 2) is set to "E:\Program Files (x86)\DAZ 3D\Hexagon 2 BETA"
The only items currently under my "Ready to Install" tab are the program, and the content. The content is unchecked, as it has been. Clicking "Install" brings up a Windows dialog asking if I want to allow the program to make changes to my PC - standard stuff. I tell it "Yes," and "Install Failed" is the result. I'm not trying to install the content - I'm trying to install the beta program. Really nice to see Hexagon's development being taken up again . Looking forward to see the other new features of the announced Hexagon Q1-release . Please post a screenshot of the Ready to Instal tab, to make sure the right things are showing. Are you running the DIM as administrator. I find sometimes it won't install an exe unless it is. I'm the administrator of the machine - always am. Although now that you mention it, DIM never would install the updates to 4.9 either. No error messages - just "Install failed!" I'll have to wait until tonight to get a screenshot. Yes. You are actually. I went through the same exact thing you are going through right now. Then I found what I was doing wrong. Don't run DIM as administrator - it may well mess up folder permissions. If it needs elevated permissions to install software or the like (as it will for Hexagon) it will prompt the OS to ask you (of course if you left it to download and install you might miss the prompt and the process would then time out). Just to be on the safe side I ticked all the Build options. And earlier in the list? LIke some others, even i have tried different maners of settings on this DIM, i am still with ''install failed'' and only get content. The beta and the production build are separate, installing one should not affect the other (except for which opens when a .hxn file is double-clicked). I think it failed the first time I tried to install it. I think the error message said that it required a folder called "Hexagon 2 Public Build". I figured it would create that itself. But when I created that, and tried again, it installed the program. If you told DIM to download the content and the application at the same time then, because the content file is smaller than the application, DIM would have tried to install the content before it knew where to put it (from the application). If you didn't cancel after the failure then DIM would have gone on to install the application and so everything would have been in place for your second attempt at the content. Will there be a Bridge for Blender in the coming future? A bridge from Hexagon to/from Blender? For people that have only Hexagon content file that appear, don't forget to check the "Software" box inside DIM, for me that fix the problem, hexagon BETA main file will appear in the list with the hexagon content file. I was looking around today, because I'm hoping to have a lot more time for modeling in the next few years. I just want a pure modeler - something that doesn't try to do everything, animation, texture, this, that, the other thing - and doesn't cost thousands of dollars like Max or Maya or C4D - and I thought "What about Hexagon? I picked that up ages ago, but I'm not sure it's still supported or anything..."
Technically, modelers like Hexagon don't need much support other than workling with your OS. The OBJ format isn't going anywhere, which works with 3D printing now. ...and I thought "What about Hexagon? I picked that up ages ago, but I'm not sure it's still supported or anything..."
Love Hexagon3D. It's my favorite poly modeling app. Thinking Hexagon was dead development wise, I recently jumped onto the Silo3D bandwagon, which is my second favorite poly modeling app. Look forward to further development of this easy to use, intuitive modeling app. I should be able to play with it by next week. I am so excited. Thank you for work on this amazing software !!! it's really my favorite 3D one !!!! The install path for Hexagon in IM is wrong. You have DAZ3DIM1, it should be Hexagon. Uninstall Hexagon and reinstall. DIM should find the right path automatically afterwards for the content. You are trying to install the Beta Content and the installed Hexagon doesn't look like the Beta. They should both be the same. 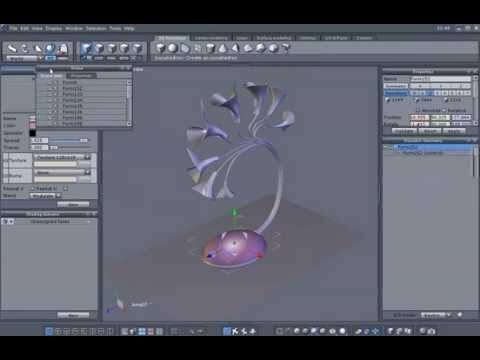 I looked at Hexagon a bit and was disappointed to find it has no lathe tool like Carrara, I know Blender and other modelers do not either but since both are from the same family I wonder how hard it would be to code one in? I still need to get used to Hexagon's UI a bit but at least it does not freeze and crash like before so I may actually learn it.